Harlan's Story . 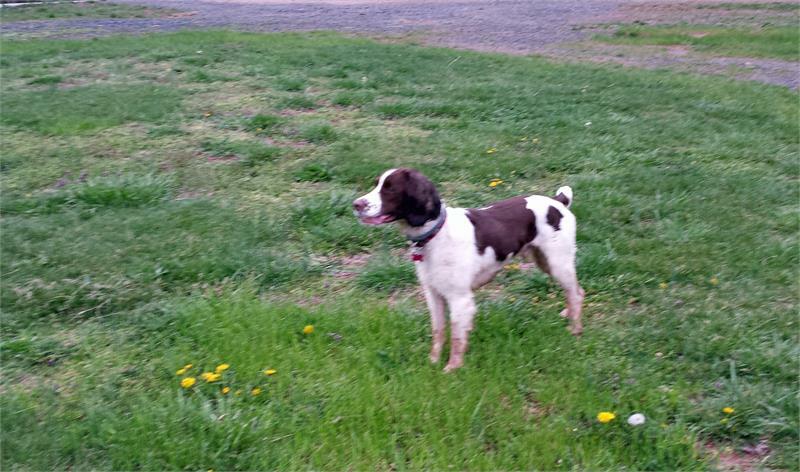 . .
Harlan, the high-energy quail hunting Springer from West Virginia, was relinquished to MAESSR due to a divorce. This boy loves to be out running and swimming and he even can jump a six foot fence! He has only had a little training but is super smart. When his former owner would get his guns out and say, “Load up,” Harlan would get really excited about the impending hunt. And can he bring those birds back! Good boy, Harlan! Birds are one thing and toys are another; Harlan has not shown any interest in playing with the toys available to him inside the house. He has been really good walking on a leash, though, and comes when called. Housetrained and displaying good manners, Harlan has free roam of the house when his foster parents are out. Trustworthy, there is no inappropriate chewing for him! He will sleep on the floor but winds up in the bed sometime during the night. Although Harlan does not guard any resources, he and the resident dogs are fed with some distance between them so that each can eat at his own pace. As much as Harlan loves to be outside hunting, this sweet boy wants to be next to his people and be loved. If you need a partner to sit next to you in the chair and watch television, Harlan is your man. He is good with other dogs and adults and has lived with kids and cats. His experiences at the vet and at the groomer have been very positive. Such a good dog! His previous owner crated Harlan when driving. Now when he is in the car with his foster parents, Harlan barks at dogs in passing cars. He will bark when someone comes to the door, too. 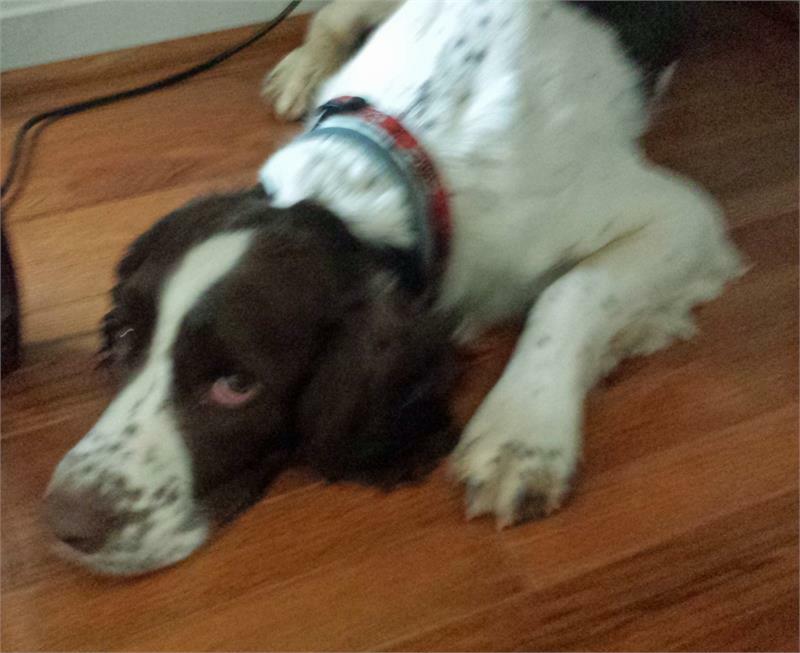 Harlan needs a home where the owners hunt or have a large farm area where he can run. Harlan is smart and needs his energy channeled. Doing something like agility training would be a great activity for him. 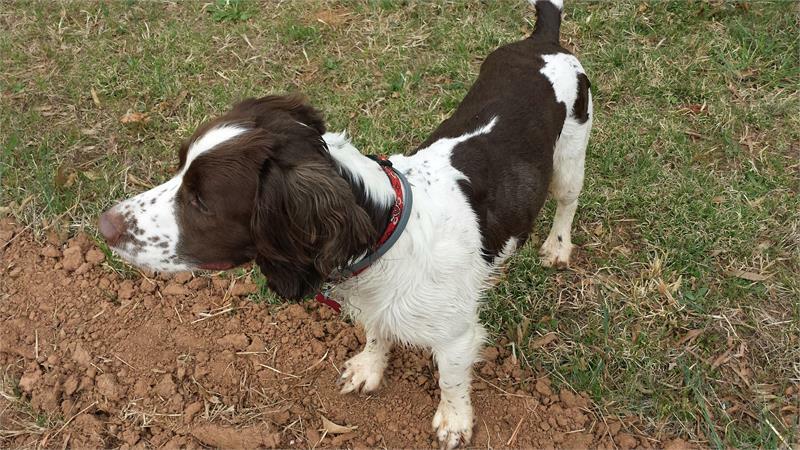 Need a wonderful Springer to match up with your active lifestyle? 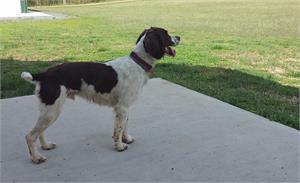 Harlan just might be the Springer for you!